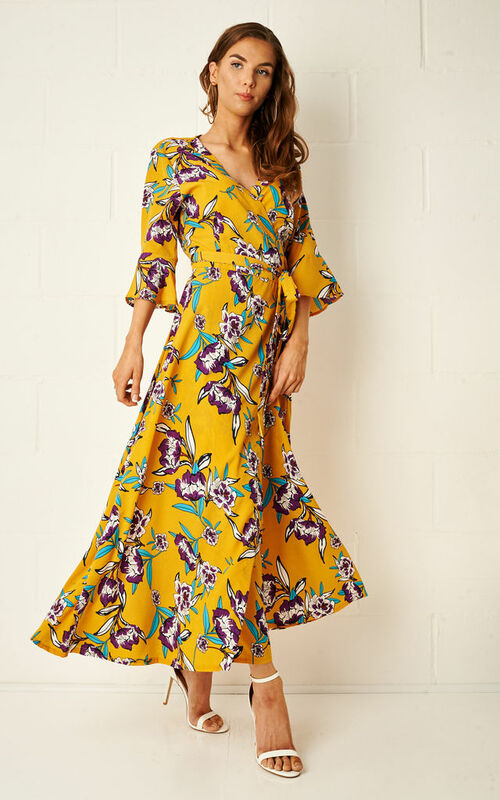 The 'Giulia' wrap maxi dress from Frontrow is cut from a fluid silk effect fabric printed with beautiful florals on a yellow base. It's designed with floaty half bell shaped sleeves and self tie waist to create definition. Balance the mini length with flat sandals for day or high heels for a night out.